I have project https://github.com/patope/jenkins-pipeline-test having two branches: master and direct. 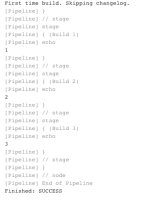 On 'direct' pipeline is defined in Jenkinsfile file and on master Jenkinsfile uses shared pipeline. On branch 'direct' stage 'Build 2' is skipped correctly. 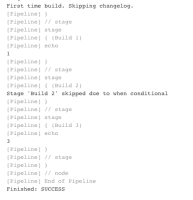 On branch 'master' (using shared pipeline) stage 'Build 2' is executed.